The competition was held during The Hague Security Delta’s Cyber Security Week among a schedule full of opportunities for cyber security enthusiasts of all levels. The conference saw talks dedicated to “Access to Talent” with an eye toward developing the next generation of security experts, the world of cyber security startups with talks about understanding the Dutch security market, coaching on how to pitch investors, and several networking receptions. This year’s Cyberlympics started off with some new twists. The Games kicked off with the teams each receiving a mysterious black box. Unlocking that box was the only way the players could gain access to the network to begin the next series of challenges. Part of the subsequent challenges included mining for cryptocurrency. The team that mined the most won the most points for that round. Teams were given extra points for cloning a credit card so that their cloned card read the same digits as an original credit card. Throughout the day, teams were busy solving challenges on the game network that ranged in skill levels and disciplines. Some challenges were based on computer forensics, while others focused on pen testing, hacking, and problem solving. The unifying theme of all the challenges was the requirement for team coordination. 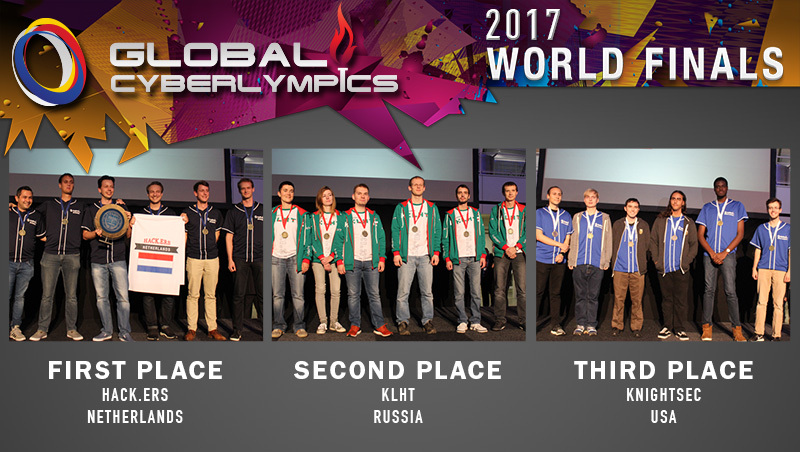 The winners of the 2017 Games were team Hack.ERS of the Netherlands, increasing their winning streak to six consecutive first place finishes. 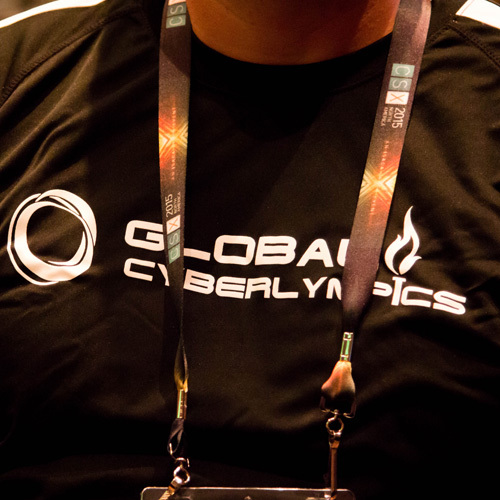 Hack.ERS walked away with $1,000 in cash prizes, medals, and the World Champion CyberLympics Globe. Second place went to KLHT from Russia. Third place was team KnightSec from the US. Global Cyberlympics competition is more than a “capture the flag” competition. While there were CTF-type challenges, there were many obstacles that challenged many more aspects of information security beyond a team’s ability to capture and defend a machine in a static platform. Only well-rounded and truly skilled teams were able to complete all the challenges. The sponsors of the event, Deloitte Netherlands, Hague Security Delta, and the Municipality of The Hague make Global CyberLympics possible and EC-Council Foundation is appreciative of their support. EC-Council Foundation is a charitable and educational organization dedicated to educating and training individuals in cyber security. Established in 2012 by EC-Council, the foundation seeks to raise awareness, build capacity across nations and ultimately unify global cyber defense. EC-Council Foundation is the creator and organizer of Global CyberLympics, Hacker Halted, TakeDownCon, The Global CISO Form and Live.Learn.Secure., an education and training program. For more information regarding EC-Council Foundation or any of its programs, visit foundation.eccouncil.org.